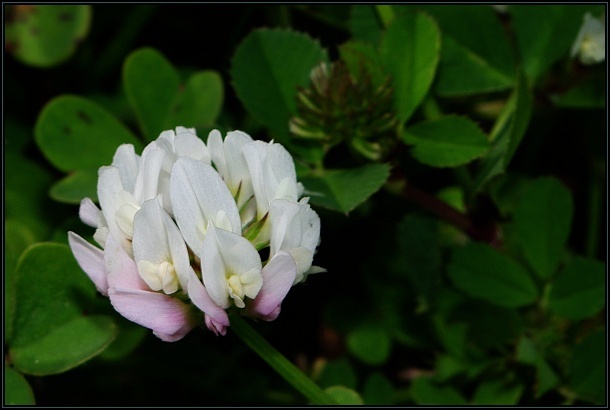 The Small White Clover (Trifolium nigrescens) is a medium sized annual prostrate plant commonly found growing in garigue. The leaves are trifoliate (as the generic name implies) and obovate. 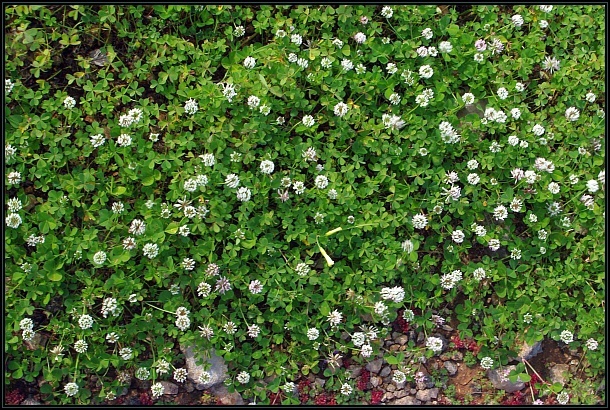 The small flowers are white to cream, very small and in groups.